NordFX offers its clients a wide array of trading accounts and platform options to suit their needs on the Forex and Binary Options markets. It also provides a substantial range of learning materials, including videos and online courses, to help bring you up to speed with online trading, with analytics tools to help improve your trading options in the future. Remember, you can lose money when trading online. Choose from 6 account types (Micro, 1:1000, MT-ECN, Standard, Standard MT5, Premium). Choose from 6 account types (Micro, 1:1000, MT-ECN, Standard, Standard MT5, Premium), each one offering different benefits to suit your particular trading requirements. The Micro account requires a small medium deposit of $5.00, with leverage of up to 1:500, and a tight 2 pip spread. This account is designed to help prepare new traders, with minimal investment required. The 1:1000 account provides greater leverage and automated trading. Meanwhile, the MT-ECN account begins with a $1,000 deposit and credit leverage of up to 1:100, and floating spreads as low as 0 pips. The site’s Standard account is a balanced option, suitable for traders with a little experience who prefer to trade on a variety of instruments. The Standard MT5 account is similar to the Standard account, offering use of MetaTrader 5, with tight floating spreads and fast execution. Finally, a Premium account is available if you have at least $50,000 to deposit. You will receive a complementary debit card and lower spreads on the Forex markets. MT5, one of several user-friendly trading platforms available. Trading platforms are available for Binary Options and Forex instruments. They include MetaTrader 4 or 5, plus there are options for mobile devices such as iPhones, iPads and Androids. Multi terminal platforms are also on offer, allowing you to control several accounts simultaneously. This is particularly useful for managers who are familiar with the MT4 interface. NordFX.com’s learning centre includes resources for new and more advanced traders. You can find tools which have been developed for Forex or Binary Options, such as online courses, trading features and e-books. If you’re interested in trading currencies or binary options, we’d recommend taking a look at the resources available here, as they could really come in handy. NordFX's Forex V.O.D. (Video On Demand Library) provides resources for beginners and advanced currency pair traders, including videos and articles. You can also find tested strategies or explore the ins and outs of the MetaTrader platforms. 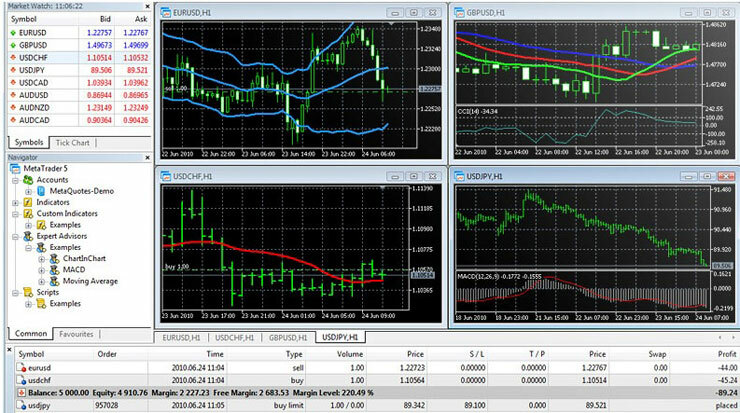 Depending on your account, spreads can start from 0.2 pips, with leverage of up to 1:1000. There is 24 hour support and order execution of up to 0.5 seconds so you can make quick buying and selling decisions. Mobile trading options are also available. With minimum trades of $5, no required downloads, one-touch trading and more, trading on the Binary Options markets is very easy on Nord FX. You can also receive training if you need it, with plenty of useful tools and resources. Various promotions and bonuses are also available throughout the year, and you can better judge potential benefits and risks with this simple trading system. 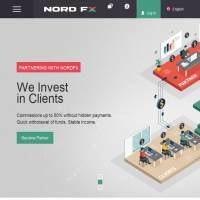 If you’re looking for a range of professional trading platforms, with accounts to suit your particular needs, NordFX.com might be the site for you. Whilst you can’t trade on as many instruments as you’ll find elsewhere, they specialise in Forex and Binary Options, with expertise which can help in those areas. There are promotions and prize pools to try out, and plenty of educational resources to take advantage of.